DISTRICT OF COLUMBIA (AP) — A Utah man jailed in Venezuela on weapons charges nearly two years ago was released Saturday after U.S. officials and his family pressed for his freedom from the South American country. “We are grateful to all who participated in this miracle,” Joshua Holt’s family said in a statement. President Donald Trump said Holt and his family were expected at the White House on Saturday evening. “Good news about the release of the American hostage from Venezuela. … The great people of Utah will be very happy!” Trump said in a tweet. 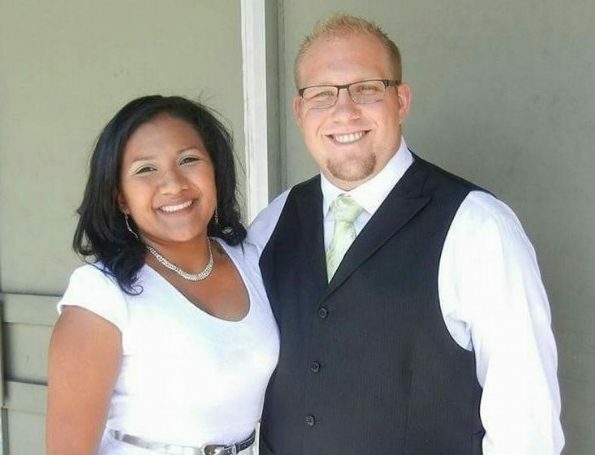 The 26-year-old Holt had gone to Venezuela in June 2016 to marry a woman he met online while he was looking for Spanish-speaking Mormons to help him improve his Spanish. Holt’s wife, Thamara, also was freed, said Utah Sen. Orrin Hatch. Hatch, who has worked on Holt’s release for the past two years, said the 26-year-old would would be reunited with “his sweet, long-suffering family” in Riverton, Utah. Their release came after Tennessee GOP Sen. Bob Corker, chairman of the Senate Foreign Relations Committee, met with Venezuela’s president, Nicolas Maduro, on Friday, two days after the embattled socialist leader kicked out the top U.S. diplomat in the country. I want to thank Chairman Bob Corker for his pivotal efforts, and that of the Senate Foreign Relations Committee for their help in this effort. I want to particularly thank Caleb McCarry, whose expertise and effort in Venezuela on my behalf has been instrumental in bringing Josh home. Earlier in May, Holt made an emotional plea for Americans’ help in getting him out of the Caracas jail, saying in a clandestinely shot video that his life was threatened during a riot in the country’s most-notorious prison. The U.S. government at first avoided ratcheting up public pressure on Venezuela amid already strained relations between the two countries but eventually raised Holt’s case to the highest levels of the Venezuela government. Hatch and Rep. Mia Love, R-Utah, also lobbied on behalf of Holt and decried his poor treatment in prison. Holt had planned to spend several months in Caracas in the summer of 2016 with his new wife, Thamara Candelo, and her and her two daughters, to secure their visas so they could move with him to the U.S. Instead, the couple was arrested at her family’s government housing complex on the outskirts of Caracas. Authorities arrested him on June 30, 2016 and accused him of using his wife’s apartment in Caracas to stockpile weapons and suggesting his case was linked to other unspecified U.S. attempts to undermine President Maduro’s rule amid deep economic and political turbulence. His wife also was jailed on allegations of being Holt’s accomplice. Holt’s mother, Laurie Holt, said all along that her son and his wife were wrongly accused. She worked feverishly to bring attention to her son’s incarceration, hosting rallies, fundraisers and doing media interviews. Written by CATHERINE LUCE and JOSHUA GOODMAN, Associated Press. What? No anti-Hatch whining, whimpering or disrespecting? everyone here has pretty well caught on to Orrin ‘the crypt keeper’ hatch, except maybe you, m&m. It’s just you here whining, as far as I can tell.